Join our New Campaign: Our Work, Our Dignity! Last Friday, dozens of domestic worker leaders, employers and supporters, including Assemblymember Phil Ting of San Francisco, and LA-based Actress Julia Wackenheim, gathered in front of California State buildings in both San Francisco and Los Angeles to celebrate the launch of our new statewide campaign, “Our Work, Our Dignity: Making Rights a Reality” to ensure that the rights of immigrant women workers be respected and upheld in every California home! In both LA and San Francisco, we were thrilled to publicly introduce Assembly Bill 2314 (Ting, D- San Francisco) that would establish a program within the California Department of Labor Standards Enforcement to promote the implementation of labor standards for the domestic work industry through education and training for both domestic workers as well as employers. #SiSePuede! 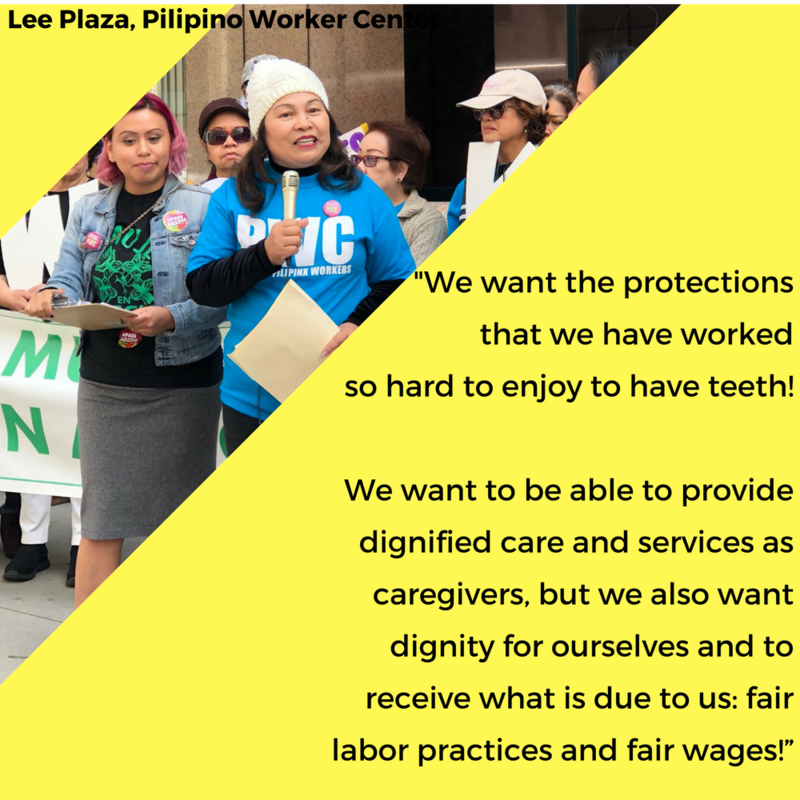 Together, we have worked hard for more than a decade to win the California Domestic Worker Bill of Rights for greater protections and fair wages for immigrant women workers. However, despite these protections, domestic workers still suffer from high rates of wage theft and violations like retaliation for actually asserting our rights. We also know that many employers do not understand their obligations and responsibilities for lack of resources and clarity on the law. In the current political climate with escalated attacks on our immigrant communities, California must continue to lead the way to defend our values as a state by defending and uplifting immigrant workers through legislation like AB2314. 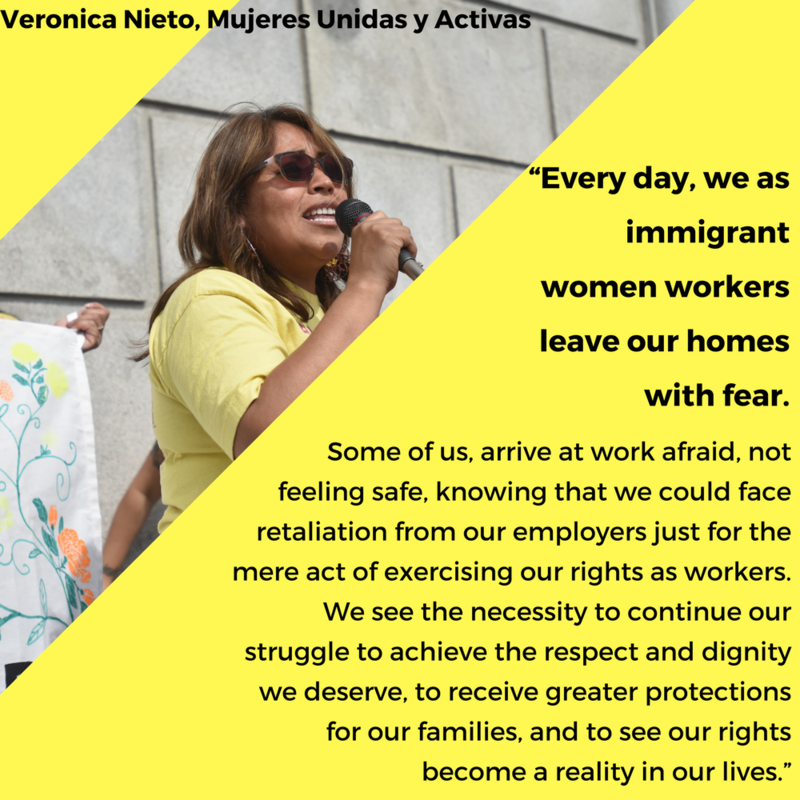 Now is the time to make domestic worker rights real in the lives of immigrant women workers! 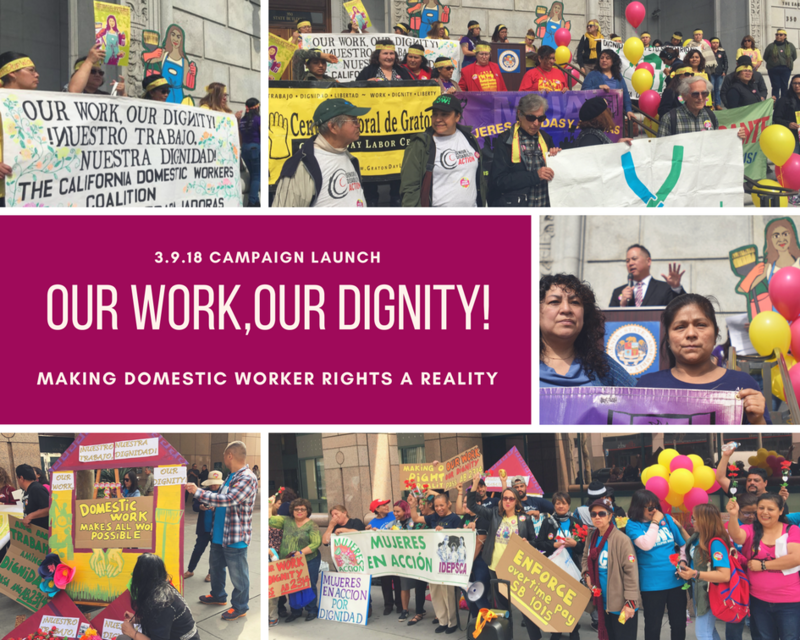 We can’t wait to advance the “Our Work, Our Dignity” Campaign with you, and we want your story! Are you an employer? A worker? A person of faith? A believer in dignity for all? Share a story of why implementing the California Domestic Worker Bill of Rights is important to you. 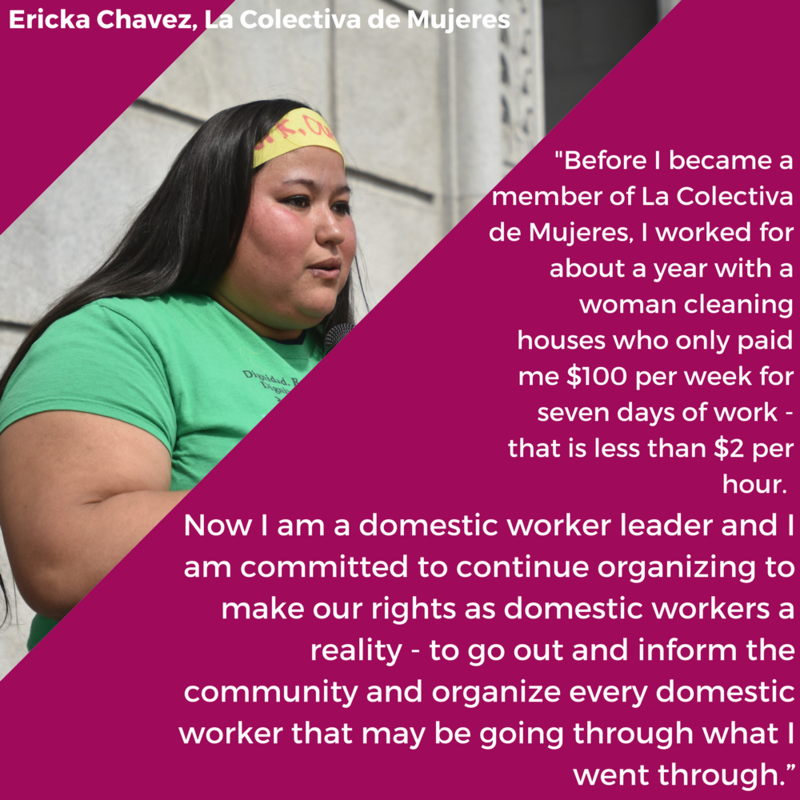 Check out the stories of our domestic worker leaders Veronica, Ericka, and Lee, and click here to share your story with us today!